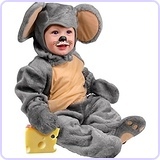 This homemade costume for babies entered our 2012 Halloween Costume Contest, and won 7th place in the Favorite Halloween Costume nomination! 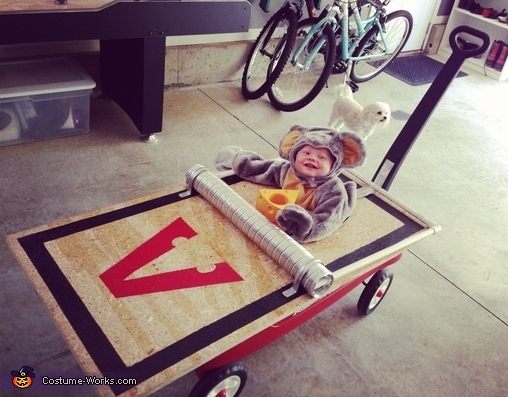 I made the entire costume, I got creative and wanted something amazing for my 9 month old baby, so I built a mouse trap and put it on our red wagon and got a mouse costume for him to wear. It looks like he is caught in a trap. Very nice and cute costume, love it. 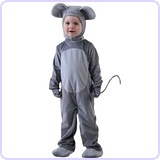 Love Lil Remy-mouse! How stinking cute! Michael! We have the same costume!! LOL! So much for being original :( Yours turned out great though! It's about the size we wanted ours to be but our wagon was too big so we had to make the trap bigger. He should enter the cutest baby contest. How creative, what a beautiful baby!! So creative!! He is so adorable!! 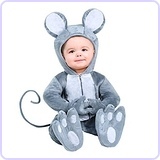 He is the cutest mouse ever hope you win !